Prospective graduates should read the following information carefully. Paying close attention to dates is important for a smooth degree conferral process. It is the student’s responsibility to know and meet all graduation requirements and deadlines. It is recommended that each student request a degree audit at the end of his or her junior year and prior to registration for the senior year. Obtain the deadline date for the graduation application. See the course schedule. This date is early in the semester prior to the semester of degree conferral. Pay the application fee at the Office of the Bursar, HGA Room 018, or have the fee billed to your student account (all holds must be cleared prior to graduation). Obtain and complete the Application for Graduation, which is available in the Office of the Registrar, HGA Room 007. Satisfactorily complete all degree requirements. Maintain the required GPA for your degree program. Achieve the required score on the degree program’s exit examination. The University must receive official PRAXIS II examination scores sent directly from the Educational Testing Service by the posted deadline. (Teacher Education graduates only). Teacher Education students must earn a passing score on the appropriate PRAXIS II examination in order to be recommended for degree conferral. Students who have not passed the PRAXIS II examination cannot be recommended for degree conferral. Complete the Graduation Clearance Form and submit to the Office of the Registrar, HGA Room 007. 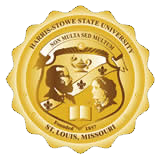 NOTE: The final 30 credit hours of course work in any degree program must be completed in residence at HSSU. Questions? Contact The Office of the Registrar (314) 340-3600 or click on the "Go to Registrar" link and then click the Graduation link for additional graduation information.